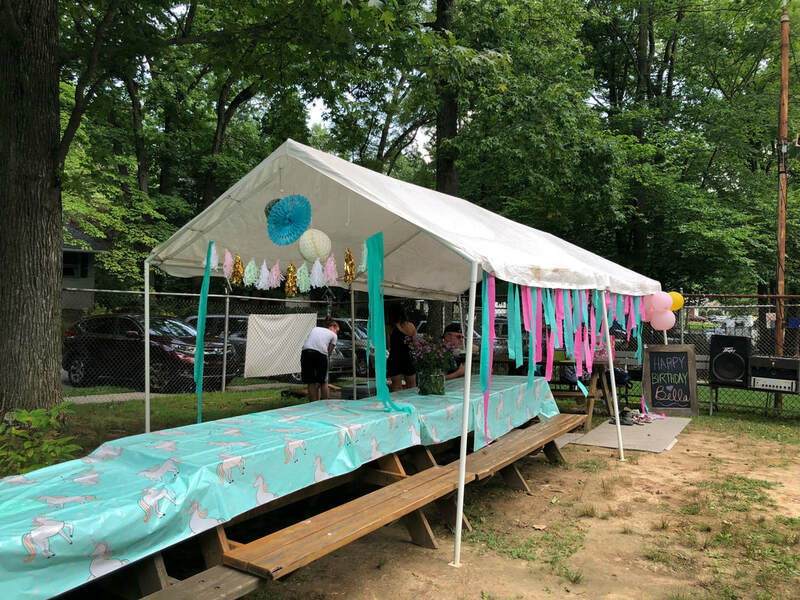 Bring your party of up to 125 guests to Green Acres. Your guests will enjoy the water, sun and shade. You will enjoy reserved picnic tables and have use of grills and recreational activities like volleyball, tetherball, horse shoes and more. Full details, contact information and rules in the downloadable form. Camps, daycares, fitness groups and others may rent on a regular basis, usually in the hours before we open to our members. The whole 25m lower pool is available for rental. All recreational facilities will still be available for member use. Please call well in advance for availability and pricing.